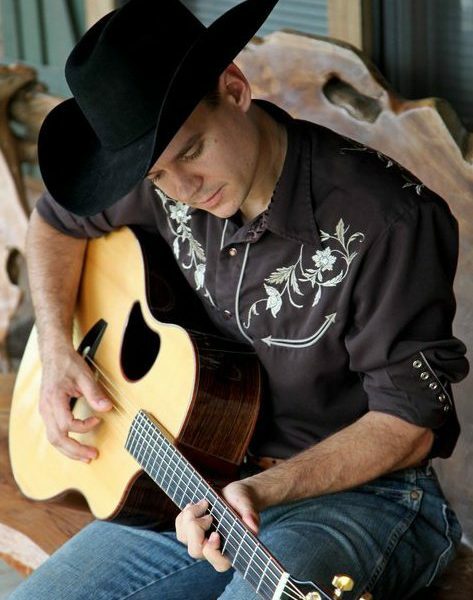 Rusty Rierson is a true “Cowboy” singer. Growing up on a ranch in his native Kansas he learned to rope and ride as well as sing and write country and gospel music. He is celebrating the tenth anniversary of his budding music career with the release of a new album titled “Souvenirs” along with the project’s first single “Souvenirs”. Rusty tours regularly throughout the US inclusive of Alaska and has toured internationally in Central America, Mexico and the United Kingdom. He is a regular on the “Better Horses Radio Show” and plays rodeo, barrel races and horse events in support of the show which has included performances at the National rodeo Finals in Las Vegas. Rusty also hosts his own radio show “Rusty Radio” which is based out of Wichita, KS and sponsored by Mid America Ag Network. The show features comedy and a mix of country and gospel music and currently reaches parts of 5 states.